Chris Haughton is the author-illustrator of Little Owl Lost, his debut picture book, which won the 2011 Marion Vannett Ridgway Award. He has created and taught many courses in design and illustration around the world. In 2007, he was named one of Time magazine's DESIGN 100 for his work for Fair Trade and People Tree. Originally from Dublin, Ireland, Chris Haughton now lives and works as an author-illustrator and designer in London. The individual’s struggle for self-control is subtly conveyed in George’s story, which manages to make old concept fresh thanks to George’s winning personality and a vibrant, jazzy artistic style... Young children who struggle to follow the rules will feel a bond with George, and the story’s present-tense narration and repeated refrains make this a natural for reading aloud. 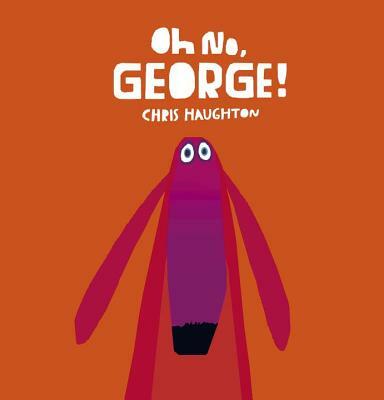 Haughton’s retro illustrations capture George’s inner turmoil in both the position of his ears and the subtle shift of his eyeballs. Of course, there are no kids out there who struggle with resisting temptation, so this book won’t resonate at all . . . right? George, the hero of this dog-behaving-badly story from Haughton (LITTLE OWL LOST), hits the canine trifecta: oversize snout, floppy ears, and an anguished expression... George vows to be good when Harry leaves, but he promptly encounters temptation. In a droll parody of an old-fashioned moral lesson, the narrator intones, “What will George do?” as George gazes out at readers with a familiar dog-in-headlights look. Haughton’s digitally rendered illustrations have a modern-retro feel, and creative kids will enjoy seeing that the conventional color rules are missing; George is a fuchsia, red, and mulberry delight, while Harry is olive-green with navy blue and aqua hair. Make room in your dog-themed storytimes for this crowd-pleaser. Haughton’s not out to lecture children. George’s crimes are ones of passion, and it’s hysterical. 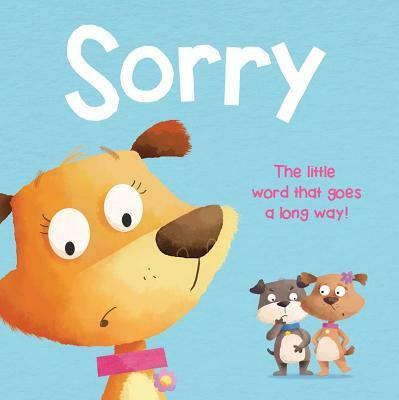 It resonates with anyone with blood pulsing through their veins—and especially with children, who are constantly being told what not to do...It’s another picture book from Candlewick for those who like their droll and understated humor. Don’t resist the temptation to check this one out.